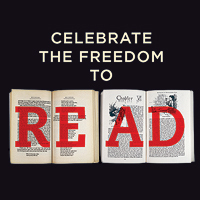 Welcome › Forums › M. E. Kerr & Other Topics › Happy Banned Books Week 2018! This topic contains 0 replies, has 1 voice, and was last updated by Michelle Koh 6 months, 2 weeks ago. As it is Banned Books Week, it seems like the right time to note books by M. E. Kerr that have been banned or challenged over the years. I will list what I know and I hope M. E. Kerr will chime in and make additions or correct me.